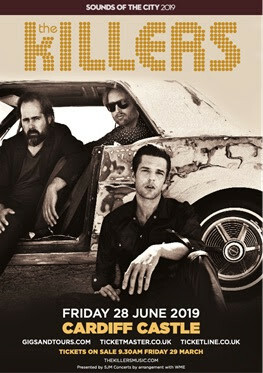 THE KILLERS today announce a very special show at Cardiff Castle on Friday 28th June. The group, who were recently announced as Saturday night headliners for this year’s Glastonbury Festival (29th June), head to the Welsh capital the night prior, their first show in the city since 2012. 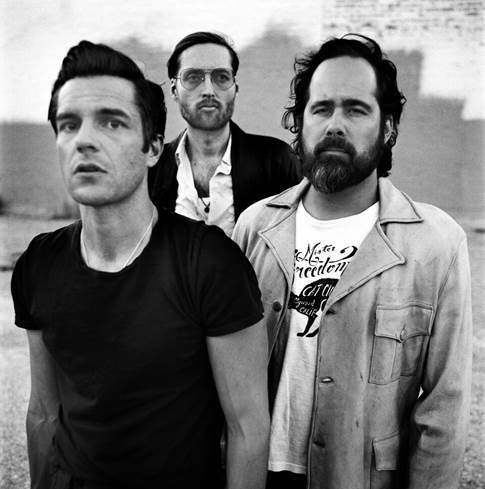 The Killers are currently in the studio working on the follow up to 2017’s Wonderful Wonderful, their record breaking fifth UK Number 1 LP and first ever US Billboard chart topper which spawned huge hit singles The Man and Run For Cover. The band toured the album in arenas worldwide and with additional UK headline shows at Hyde Park, Latitude and a sprinkling of stadium dates. The group will headline a number of major U.S festivals this summer, including Woodstock 50. The Cardiff Castle and Glastonbury shows will be the band’s only UK dates for 2019. The Killers recently unveiled a new stand alone song, Land Of The Free, with a video by Academy Award-winning director Spike Lee. Recorded at their own Battle Born Studios in Las Vegas, Nevada and produced by Jacknife Lee, The Killers invited Spike Lee to make the video for the song, a heartfelt lament inspired by current events and recent national tragedies in the United States.